Here you’ll find free downloadable resources, to assist you in health or within the kitchen. For accuracy, be specific with portions. Estimate where needed. For best recollection jot what you eat as you go, otherwise at the end of the day while it's still fresh in your mind! 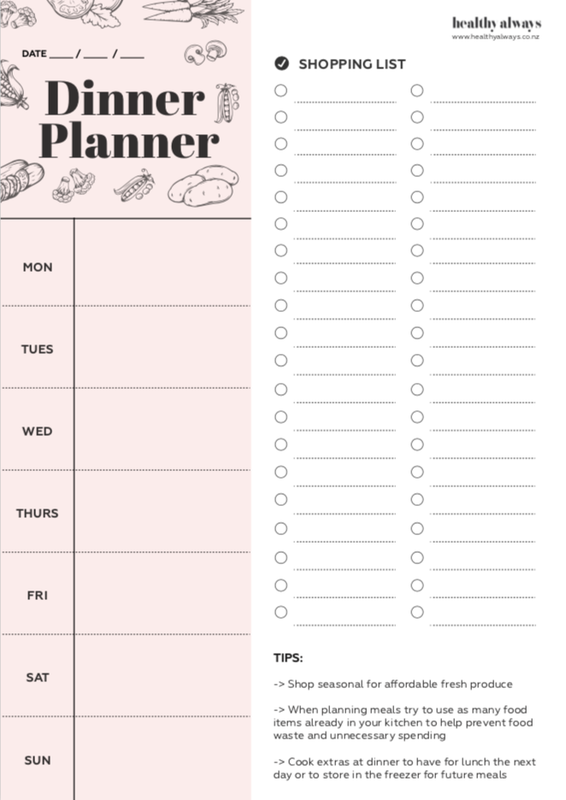 It is not necessary for most people to keep a day-to-day food diary - however, if you have specific goals, you may find it a useful tool for keeping on track, accountable to goals and motivated. Once you've written your meal plan, use the right column to jot down a shopping list, and then take your list shopping!